I’ve received a few questions from readers recently about connecting with higher dimensional benevolent ETs, so will set out some guidelines, according to my own experiences and overview of creating tangible contact with our star kin…..and knowing exactly who and what you are connecting with. Contact, connection, reconnection is about resonance and affinity – the natural drawing together (convergence) of like energies, similar frequencies. At the most fundamental level, contact with beings of Love is brought about by Love, with an open heart, a peaceful mind and a very relaxed ego that trusts the guidance of the inner heart/higher self. As there are a few ‘contact pitfalls’ for the unwary (and the wary), I’ll address those here too. * The Lightships of higher dimensional ETs of goodwill (of which there are many kinds, some of which have humanoid type forms) and Inner Earth people, who are monitoring, assisting and supporting the planetary Shift. * Ships of ETs of less light residing in the lower fourth dimension/3-4D interface (this includes most reptilian and mantid beings, Grey type species and sub-species) who seek to maintain behind-the-scenes control of this planet and others. * Ships of military-corporate Earth-based origin, human-crewed or artificial intelligence, or uncrewed remotely-controlled, reverse-engineered from downed 3-4D type ET craft, being sent out for ‘sightings’ for various purposes that include confusing/faked representations of higher dimensional beings, snooping, psychotronics/mind control (which can cause hallucinations of ships and ETs), acting in collusion with less light control-oriented ET factions. Denying the existence of ETs of malign intent can lead to being duped or compromised by them, without being consciously aware of it. Conversely, if you believe the Ashtar Command and Intergalactic Confederation are mind control programmes or malevolent ETs masquerading as Light, be aware that there are mind control programmes using their images and lesser light ETs who have faked and/or given out misinformation about them (using many channels, Akashic record readers, galactic historians, whistleblowers and remote viewers, to further their own ends) since the 1950s onward….generally representing them either as saviours who will save humanity from having to take self-responsibility or as demons/archons manipulating humans to maintain covert control. This is designed to stop people from opening their hearts and connecting with the true Ashtar Command/Intergalactic Confederation, and divert them instead toward spurious ‘ET intel’ stories, or disillusion them and scare them off contact. To establish continuous clear, true, deep connection and remembrance, I had to let go of most of what I’d ever seen or read about ETs, drop all expectations and mental concepts, and focus on opening, unblocking and going into my Inner Heart. This didn’t ‘happen overnight’. It took patience, determination, self-trust and compassion …and remains an ongoing journey of growth, rememberings, ever-deepening awareness and fine-tuning. Even after a lot of inner work and having established a good connection with star family, I was energetically ‘breached’ twice in early 2015 by control factions. Though not pleasant, I thank both occurrences, because they highlighted precisely where my ego-mind was still caught in and operating from fears (which opens doorway to both lower entities and mind controls, as do self-fixation or low self-worth)…and that gave me the opportunity to clear them much more deeply. Self honesty, humility, and a willingness to keep clearing and centering within your Inner Heart, are key to taking full responsibility for yourself as a Being of Love and Creation….which can, in the perfect timing and way for us all, open unveiled connection with the Beings of Love around and within this planet in higher dimensions/frequency bands. So first and foremost, breathe into your heart and fill yourself with love. Relax, quieten your mind. Ease the ego’s perspective: if you’re trying to ‘command’ or ‘summon’ star family to appear, where is that really coming from? If you need them to come and save you, instead of doing the inner work of raising your own frequency to ‘meet them in the middle’, what is that telling you? Ask. Call gently, with love, free of wants, needs or expectations, without impatience, creating the basis for a loving, peaceful connection/reunion with our star kin. If you’ve already seen ships and are wondering who/what they are, physical actions like, for example, flashing a light at them and having a ship flash its lights back at you doesn’t tell you who the crew are or what their intentions are. It only shows you that there is an intelligent, sentient response. True contact can be felt, warmly, deeply within. Send love and appreciation, and see how they respond, with a pulse of light, changes in colour or proximity, a pure warm singing into your heart. Often, signs of a ship’s presence are more subtle, especially by daylight. 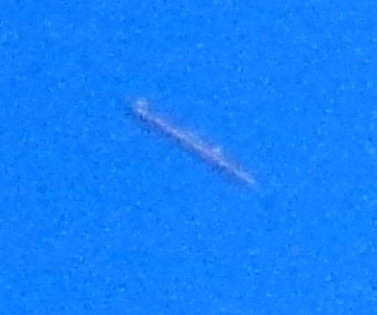 I’ve seen and photographed ships fully uncloaked a few times by day, but more often they will show a trace of their outline in the clouds. Below is a ‘disc-hole’ left in a cloud by the Shem Arua. By night, they sometimes signal their origin by their position relative to certain stars, or are accompanied by Orbs of specific colours, sizes, or with faces inside them. Though I have telepathic conversations with family of the Ashtar Command (and meet them in Inner Heart meditations and dreams) they communicate with many kinds of visual ‘sign language’ as well. 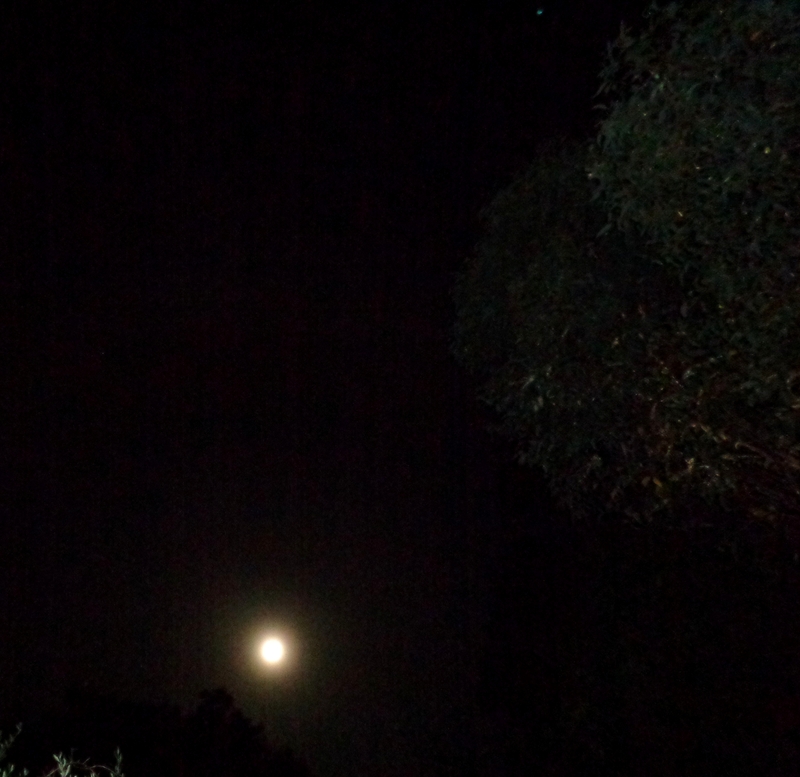 Last night, for instance, watching the Moon and some orbs nearby, I asked if star family were able to show their ships. I heard within to turn around and look the opposite direction. 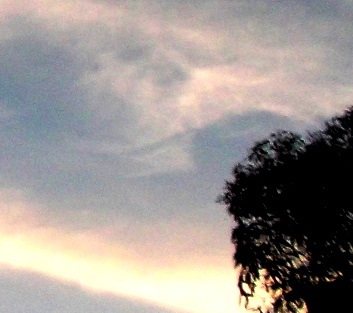 Two lights like golden stars were visible for about a minute beside a tree (right above bushland where I had been walking that same afternoon) before they dropped below the roofline of the house. To the left of the tree, two stars shone, in exactly the same relative position that the two ships had mirrored. The stars were ‘the Pointers’, Alpha and Beta Centauri, and the ships are those of Alpha Centaurians stationed in this area (see this post). Here’s another example, which I photographed, on January 24th, 2016. 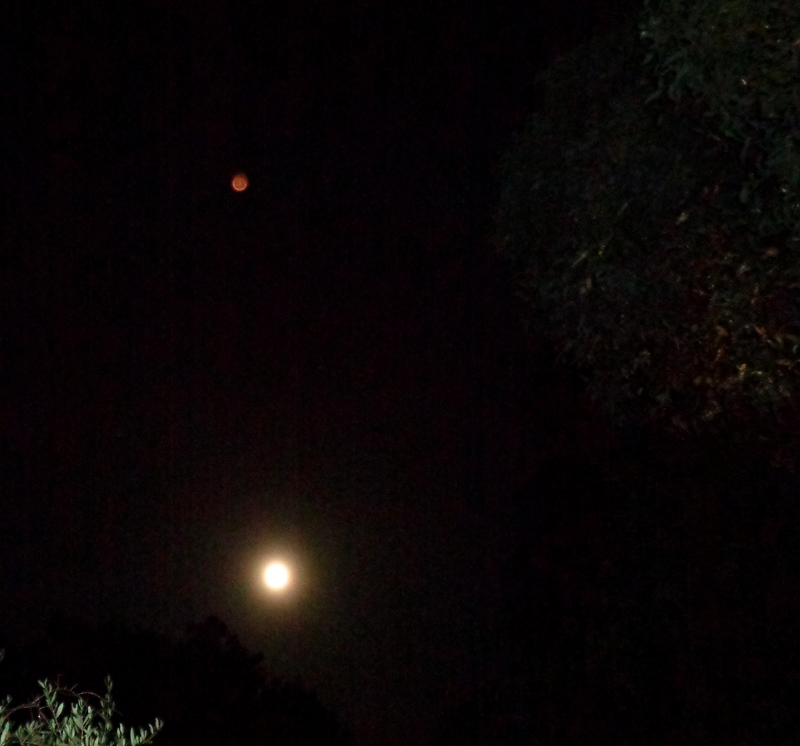 A large bright red orb appeared (which had occurred previously, just before ships of Antarian origin showed up). 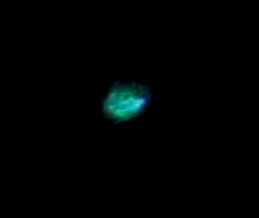 This orb was followed in seconds by the appearance of a type of ship I’d never seen before, a bright blue-green disc-shaped lightship, of Antarian and Pleiadian crew. Look for it coming in, as a blue-green light at the upper right of the frame, above the treetops. And in close-up, with segments visible around the rim, and a diamond shape in the centre. Convergence of energies is all about affinity and attraction of more of the same. If you think about ETs with fear, anger, hate, resentment or desperation, you are likely to draw beings & energies that answer perfectly to those thoughts and emotions (at the very least you’ll block contact with benevolent ETs). If you’re sitting on the fence, hopeful yet suspicious, confused, ambivalent, you’ll tend to draw a mixture of energies, some light, some not so light. If your approach is analytical, mental research, you’ll tend to draw researchers – experimenters who know little of love. Approaching from love and peace will draw loving, peaceful beings. * Becoming a being of love and peace in all areas of your life, on all levels, creates the resonance for continuous connection with loving beings, with Source itself. *Note: When the Light in you goes ON, it is noticed by energies seeking to keep this planet veiled and split away from unity and peace. It takes faith in yourself, in Source, to hold your Light, the Love you are, during this planetary Shift. Ironically, encounters with the ‘veilers’ will show you everything within yourself that isn’t in the highest truth, the highest love….but the Love in you, and its natural resonant connections, always shows you how to transform all energies. Help is always with you. When people wake and first connect, lower entities commonly try to take over their connection, their ‘seeing’, and if there are unacknowledged or unresolved fears or wounds to latch onto, they can do so undetected. It is essential to keep clearing reactive ‘old heavy stuff’ from this and other lifetimes stored in the subconscious, and keep opening and going into your heart, no matter what. 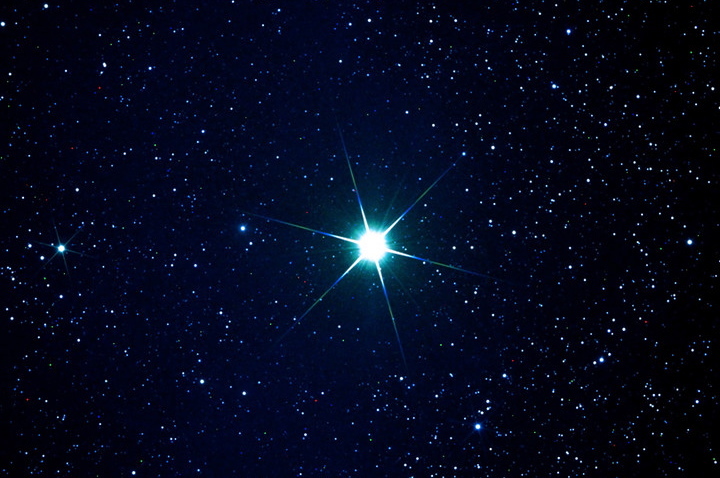 Star family will answer you in ways that mind programmes and malign entities cannot….in the Inner Heart, where all energies are unveiled for what they are, in truth. Even when they try to mask themselves as light, once you’re attuned to higher ETs, lower energies feel akin to artificial sweeteners (they leave an unpleasant, cold ‘aftertaste’). As you become more attuned on the inner level, you’ll feel the difference between true higher dimensional lightships (and the beings on board) and Earth human-controlled craft or lower ET craft. Sometimes it’s obvious from the way the ships look, but also on an energetic level, for instance, telepathically/empathically, lower ships have a kind of ‘flat’ cold feeling, and are not capable of responding to a sending of Love. In contact with a true lightship – which is an extension of the unified focus of highly loving beings – your heart will soar. For more about Lightships, see this page. This entry was posted in Alpha Centaurians, Antarians, Ashtar, Ashtar Command, Dimensions, Disclosure, Intergalactic Confederation, Lightships, Orbs, Pleiadians and tagged aliens, Antarians, ascension, Ashtar, Ashtar Command, benevolent ETs, ET Disclosure, ETs, ETV, Galactic Federation, higher dimensions, Intergalactic Confederation, lightships, orbs, Pleiadians, UFOs by Joanna. Bookmark the permalink. Great article…thank you. I would like to share it with those who are interested in this and I would like to be in contact with you personally also. I’m glad this post ‘speaks’ to you and am of course happy for it to be shared widely, for the sake of more clarity and understanding. You’re welcome to contact me via email. Thank you for this beautiful post. I can not tell you how bang on the timing of this post is! I am connected to Ashtar, and have had experiences with Pleiadians; I have always been upbeat and not fearful. But I have noticed that the more I develop, the more people and posts seem to tell me to ‘be careful of Galactic beings’. And ‘to be careful of all the bad stuff.’ People warning me everywhere! I guess, trying to instil fear. There was a woman only 2 days ago, who wrote a very fearful message about Galactic guides, and told a few of us to stay the clear of them all – they are tricksters and will ruin your life etc. I have only had beautiful experiences, but I guess she still planted the seed. So last night, I let my dogs out before I went to bed, and I looked up into the night sky and saw 3 ships. Well, they appeared as really big lights. The sky was cloudy, and it was like these ships/orbs were playing around in the clouds – as all I could see was the lights shining through the clouds, moving around. The lights were all quite large and moved around really fast. They stayed in my view for about 5 mins. It looked like they were playing! Obviously, I was caught off guard 🙂 But, what this woman said to me 2 days ago, came back to mind – and although I felt surprised, but happy; I texted my Mum (she is in tune) to ask her “if they were good ones, because I am too in shock to think.” As soon as I sent that text, they all disappeared. When I went to bed last night, I felt in my heart, that they left because of that text. That they knew they may have startled me and didn’t want to scare me. It is a very big lesson for me. You’re raising some really good points here, about ‘contact’, what is going on in the ‘awakening community’, and inner connection. Firstly, about that text you sent to your Mum, about whether they are the ‘good ones’…’I am too in shock to think…’ and then the ships immediately disappeared. Okay, your sense of them knowing they had startled you would be true, because they are always aware of our feelings/thoughts regarding them. They feel everything. And I would also say, about creating a *like resonance*, a heart affinity that naturally opens a connection, that whenever someone goes into doubt ie; they start *thinking* in a way that takes their vibration out of resonance with higher frequency beings, with their own inner heart, then the connection fades (or appears to, to our Earth human perception)…and indeed, beings, orbs and ships will disappear from your view if you are no longer resonating in joy, love and peace with them. Because that’s what they are, and you can’t hold a steady connection, if you’re shaking between high and low energies, right? There’s a big game of smoke and mirrors, bluff and double bluff, going on, to try to screen out the higher ETs and other high vibrational beings from people’s awareness. A smoke layer has been inserted (well, it’s been there a long time, but it’s very active now), and not all, but *many* channels, galactic researchers etc have been/are being influenced by those behind the smoke layer, and ‘see’ and ‘hear’ without being able to discriminate between truth and distortion (or high truth and lesser truths). This simply means, they are not fully centered/anchored in their inner hearts and/or have ego vulnerabilities that can be utilized. Many souls absorb words and messages without higher knowing, as they themselves are still clearing, learning and centering – and hence a giant fantasy is spun, that is meant to stunt people’s *natural capacity* to connect with loving ETs, our kindred. To the extent that even if/when people visibly see their ships (which means they have an open heart) their mind will kick in with all sorts of warnings, filters, false intel etc and block their true seeing/feeling *from their heart*, from the soul. Next time you see ships or orbs, breathe deeply into your heart, quieten your mind, and let yourself feel their presence, the quality of it….without any expectations or wants or fears…and begin to trust your own sensing/knowing, to pick up on what energy, what type of energy, those ships are. (BTW: If you should ever feel dark intent anywhere near or aimed at you, don’t feed the energy with fear or worry. Stay calm, focus into your own Light, feel the pure star of light you are, in your inner heart, seat of your soul, and radiate that light around you. Strengthen your auric field/torus with golden light – see the Golden Apple in the Three Foundational Heart Practices, on the Practices page. Call on your Higher Self for guidance. Also, AA Michael is a great help with shielding, and cutting away lower energies, if you feel to call on him). Thank you so much for your detailed reply. Everything resonates and makes so much sense. I have been going over your ‘practices’ page and will do so from now on. This has been a really good lesson for me. I have never allowed people to 'plant seeds' in me. It has only been recently, after having quite a few of them at the same time. But, I see now that I forgot about what has kept me 'safe' – so this is a really good reminder. This is a big learning, of being IN your own centre. ‘To thine own self be true’…and as we cultivate the ‘energetic space’ for, and allow, our ‘higher self’ IN, to merge completely, then we will be true to the Whole of who and what we are, as an eternal Flame of Source….extended into this human experience as a soul aspect ‘Candy’ or ‘Joanna’, of/from that Whole….in continuous conscious connection with Souls who are also in resonance with the Whole – whether they are humans on Earth, non-physical soul family, archangels, leonine beings or any of the countless variations among higher dimensional star family, Inner Earth people of love, sprites and elementals, Gaia, the consciousness of Stars….. Even if every soul around you spoke fear, distrust, or conversely, false (illusional) hopes, stories and (mis)representations, don’t let that affect your ability to connect with, to know, pure Love, within your own being and with beings who connect in Love, because they too are Love. Excellent article, and what I have learned about it all!!! (well you added some new insights to it too! I have had many experiences and have been aboard some Light Ships! This articles is excellent!!!! Hello Carolyn, thank you & glad it resonates for you and your experiences.